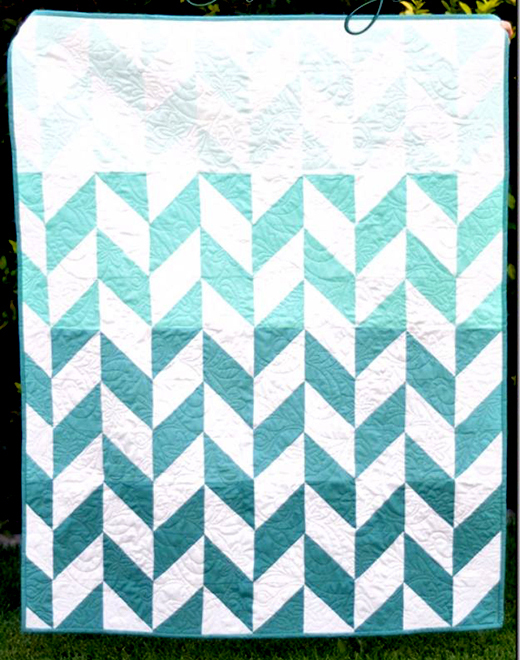 This Ombre Herringbone Quilt it's very easy, Make 72, half square triangle units from 7” cut squares. Set together in 9 rows of 8 blocks per row. Refer to lay-out diagram below but note, every other row is the same. This Quilt designed by Riley Blake, The Tutorial is available for free.